Ayelign M Adal, Zerihun A Demissie and Soheil S Mahmoud (2016) EST-SSR analysis and cross-species transferability study in Lavandula, Bio-protocol 6(15): e1891. http://www.bio-protocol.org/e1891. Ayelign M Adal, Zerihun A Demissie and Soheil S Mahmoud (2015) Identification, validation and cross-species transferability of novel Lavandula EST-SSRs, Planta 241 (4): 987-1004. DOI: 10.1007/s00425-014-2226-8. Ayelign Mengesha A., Ayenew, B. and Tadesse, T. 2013. Energy sources affect in vitro propagation and subsequent acclimatization of Ananas comosus, var. Smooth cayenne plants. Journal of Microbiology, Biotechnology and Food Science, 2 (6): 2372-2376. Ayelign Mengesha A., Ayenew, B. and Tadesse, T. 2013. Acclimatization of in vitro multiplied pineapple (Ananas comosuss (L), var. Smooth cayenne) plantlets to Ex - vitro Condition in Ethiopia. 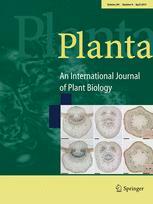 American Journal of Plant Science, 4: 317-323. DOI: 10.4236/ajps.2013.42042. Ayenew, B., Tadesse, T., Gebremariam, E., Ayelign Mengesha A. and Tefera, W. 2013. The use of Temporary Immersion Bioreactor (TIB) on pineapple (Ananas comosus L.) multiplication and rooting ability. Journal of Microbiology, Biotechnology and Food Science, 2 (4): 2456-2465. Ayelign Mengesha A., Ayenew, B., Gebremariam, E. and Tadesse, T. 2012. Micro-propagation of Vanilla planifolia using Enset (Ensete ventricosum (Welw), Cheesman) starch as a gelling agent. Current Research Journal of Biological Sciences, 4 (4): 519-525. Ayenew, B., Ayelign Mengesha A. Tadesse, T. and Gebremariam, E. 2012. Ensete ventricosum (Welw.) Cheesman: A cheap and alternative gelling agent for pineapple (Ananas comosus var. smooth cayenne) in vitro propagation. Journal of Microbiology, Biotechnology and Food Science, 2 (2): 640-652. Abebe Z., Ayelign Mengesha A., Teressa A. and Tefera W. 2009. Efficient in vitro multiplication protocol for Vanilla planifolia using nodal explants in Ethiopia, African Journal of Biotechnology, 8 (24): 6817-6821.